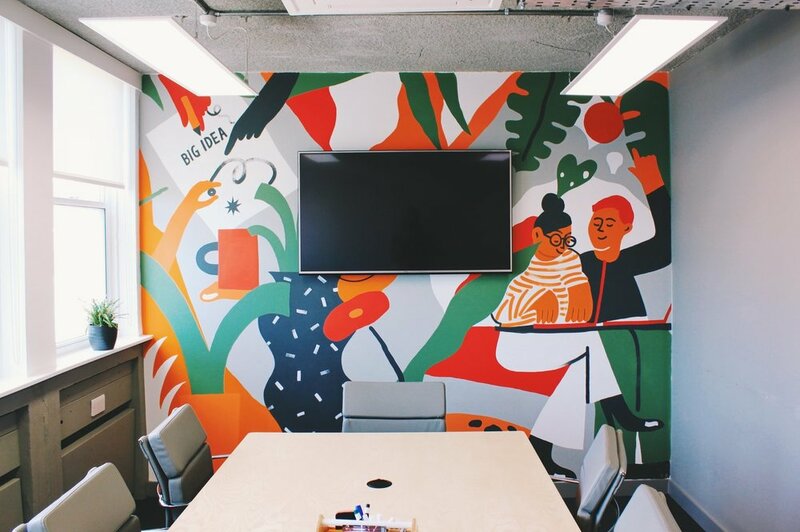 Our meeting rooms have ample space for formal discussions and informal get-togethers. The rooms can even be combined to create a single space for larger gatherings. 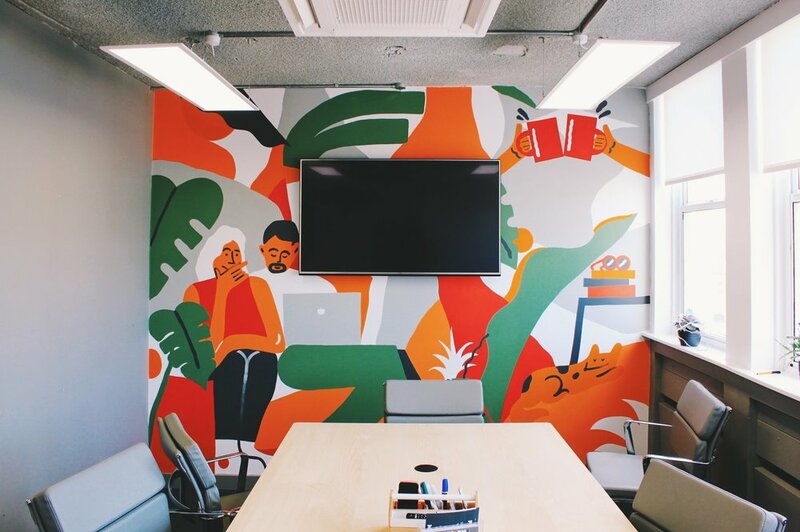 Not just a boring meeting room: murals by local Brighton artist Lucy Sherston. 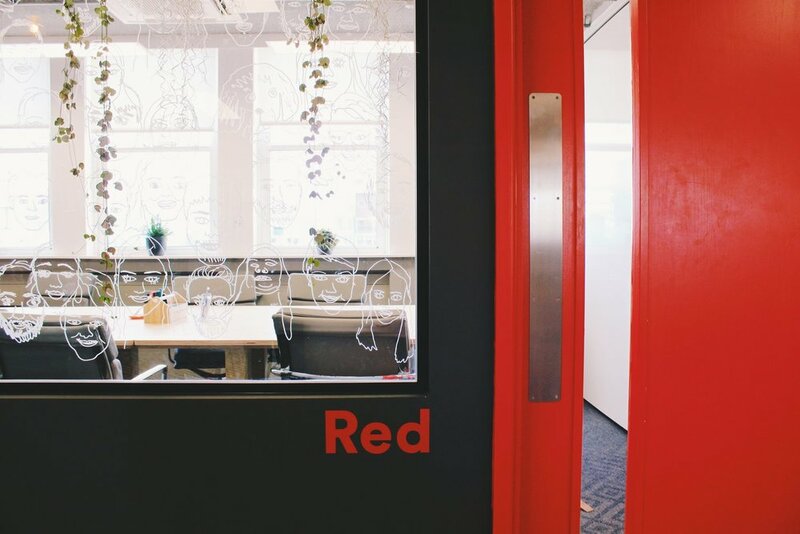 The Orange and Red Meeting Room can both seat up to eight people; 16 when joined together. We offer locally roasted Pharmacie Coffee coffee and teas from Brighton based Bird and Blend Tea. We can provide catering options from the North Laines famous Hell’s Kitchen with a few days notice. Any bespoke packages, food orders or additional questions, please email meetings@platf9rm.com .